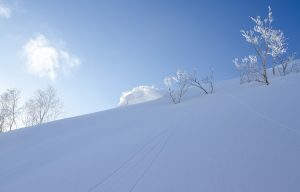 Kiroro regularly sees over 20 meters of snow each year, the most in Japan and more than most ski areas around the world. Best of all, Kiroro is an undiscovered treasure with fewer crowds and shorter lift lines. Kiroro is a destination for all – skiers and boarders of all levels will find plenty to love on the resort’s 22 perfectly groomed ski runs, hundreds of acres of tree skiing, and a terrain park – all without the long lines of nearby resorts. Day Trip – A one-day package perfect for families. Includes a sightseeing Gondola Trip and a day in the Active 180 Snow Park, featuring the Banana Boat, Mini Snowmobile, Snow Raft and lunch. Cost: Adults – 8,000 JPY; Children 6 -12 – 7,500 JPY. Available from 12/15/18 – 4/15/19. Winter Fun All-Inclusive – Choose your stay at Sheraton Hokkaido Kiroro Resort or The Kiroro, a Tribute Portfolio Hotel. Includes nightly accommodations; daily breakfast, lunch and dinner; daily access to the Active 180 Snow Park; a sightseeing Gondola Trip and daily access to the indoor amusement park Granship. Also includes daily Onsen at the local hot spring. Available 12/15/18 – 4/15/19. 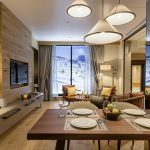 Ski Adventure All-Inclusive – An all-inclusive ski vacation at your choice of Sheraton Hokkaido Kiroro Resort or The Kiroro, a Tribute Portfolio Hotel. Includes nightly accommodations; daily breakfast, lunch and dinner; daily lift and Gondola pass at Kiroro Snow World; rental of a full set of ski or snowboard gear; daily Onsen. Available 12/15/18 – 4/15/19.